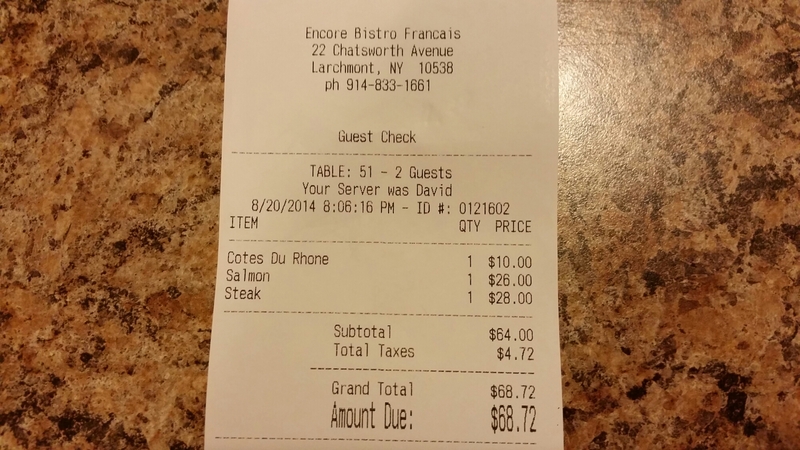 Last night’s experience at Encore, a French bistro in a highly French populated town, Larchmont N Y, was a bust. Mediocre at best. Dried grilled salmon, not true medium rare steak, and the waiter placed the check squarely in front of me vs. in front of my male companion. Where is the European chauvinism? Urgh! First, the French waiter was pushy and insisted three times that we can only choose a table of two. Ok, buddy. Heard you loud and clear. No need to nag in that French accent. 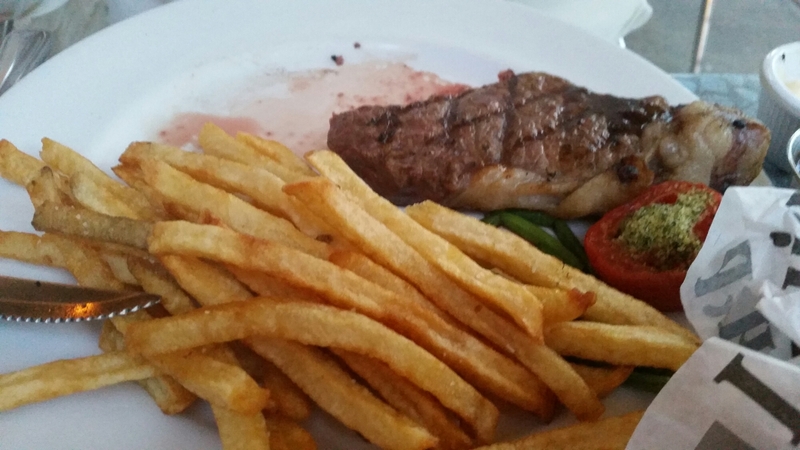 Second , the supposedly medium rare steak was medium with very sad and light char on the outside. The cut of meat was also a bit fatty. Third, my $26 grilled salmon was dried as a rock and tasteless that I barely touched it. What a sharp contrast from the cheap handroll place on Wulong Street in Taipei, Taiwan. For a mere $120NT or $4USD, it was grilled to perfection. It had a nice char on the outside and the inside was succulent and juicy, not to mention hot when it was delivered to my table. 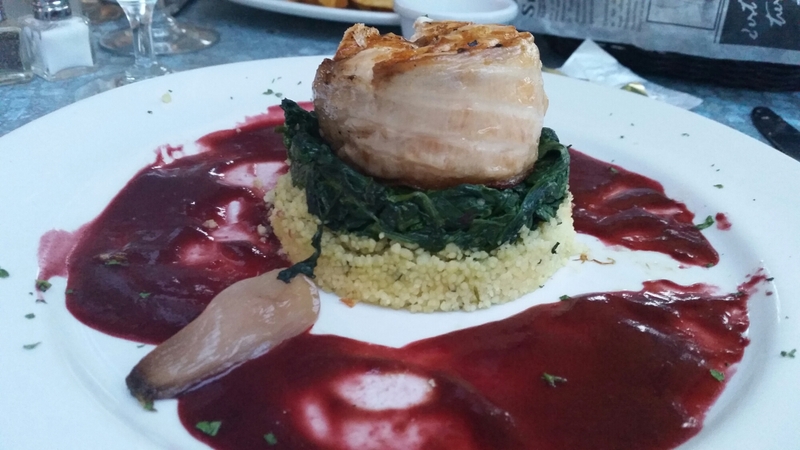 No seasoning was necessary on that beautiful piece of salmon. Here in Larchmont, this grilled salmon from Encore was pathetic and definitely not worth the money, even if NY is supposed to be more expensive. Here is me, spitting at that Encore grilled salmon via this post. Lastly, this meal costs $68 in NY but in my opinion it only values at $5 bucks of real food money. The regular chef must have been on vacation since I have had much better experiences before. It’s the only way to explain the difference in food quality.